It was a heartwarming sight to see our brothers and sisters who are differently abled, blind and deaf at the cinemas of SM The Block a few days ago. The plan is, to actually have these facilities (all SM Cinemas) to be retrofitted with the right equipment in order to cater to these wonderful kids and their families a place to watch movies even if they are in that condition. This is a very good move for SM, SM Prime Holdings, SM Cinemas and SM Cares. They are doing this hand in hand with AKAP Pinoy, Philippine Blind Union, NCDA, Philippine Foundation for the Rehabilitation of the Disabled and the MTRCB. It was impossible to do this before but with the help of technology and proper dubbing, there are now digital movies that can be interpreted for the blind and put in closed captioning for the deaf. I thought it was not going to be possible because they wouldn't be able to see or understand it, it all became clear to me once they started the movie. 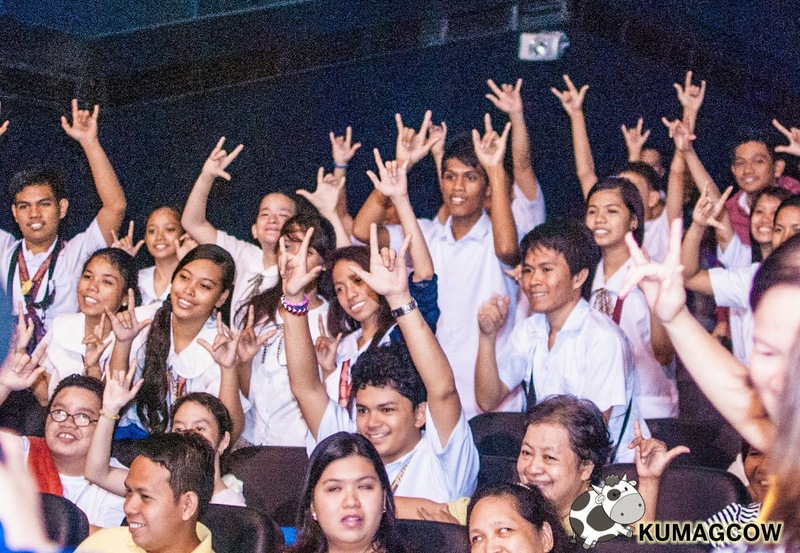 They invited them from special education classes all around the metro and got the movie HUGO on screen for them. Each scene was described meticulously for those who could not see, from going through pipes, smoke, the construction of the fonts and the credits, everything was described for them. The closed captioning was also there so the deaf can actually read the dialogue of the characters. They also described them during the times the characters were only looking at them so you know our blind friends would be able to understand the scenes as they go along. They signed the memorandum of agreement in order to make more movies like these. Atty. Eugenio "Toto" Villareal of the MTRCB, executives from SM Cares, SM Cinemas, SM Prime Holdings and other NGO's was there to witness it. They will work on making more movies like these, the Filipino films included and perhaps give more incentives to private corporations, producers who would make their films available to the differently abled brethren. That right there is history, if we could only do this to every film... it would be something that we'll be so happy to share with the blind and deaf individuals so they could be able to live more independently even when watching in the cinemas.